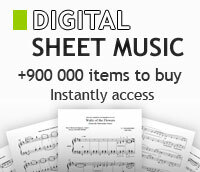 Charles Ives - Choral SATB - sheet music books scores (buy online). By Charles Ives. Arranged by John Kirkpatrick. For SATB, Organ, Handbells. Published by Theodore Presser Company. By Charles Ives. Arranged by Paul C. Echols. For SATB, keyboard. Piano/Vocal Score. Duration 1:30. Published by Theodore Presser Company. By Charles Ives. (SATB). Schott. 6 pages. Published by Schott. By Charles Ives. (SATB). Choral. Published by Amp. SATB. By Charles Ives. Arranged by John Kirkpatrick. (SATB). Choral Large Works. 24 pages. Published by G. Schirmer (Associated Music Publishers). By Charles Ives. For SATB, piano. Published by Theodore Presser Company. S.A.T.B. And Organ. By Charles Ives. Edited by John Kirkpatrick. Choir (SATB, keyboard). For SATTB Chorus, Organ. Choral. Piano/Vocal Score. 10 pages. Published by Theodore Presser Company. For S.A.T.B. Chorus, A Cappella. By Charles Ives. Choir (SATB, keyboard). For SATB Chorus, Piano Rehearsal. Choral. Choral Part(s). 9 pages. Published by Theodore Presser Company.